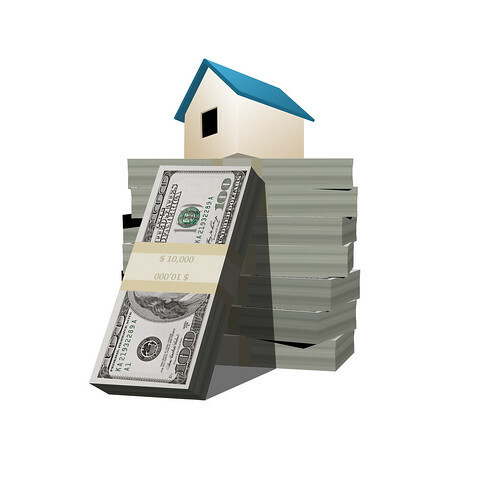 Reverse Mortgage For Equity Recapture? Reverse Mortgages are a bit of a mystery to me. Being a homeowner, I understand the concept of a mortgage. I understand that I agree to pay a certain amount each month, based on the terms of my mortgage, to a bank in order to some day, hopefully, own my house. I get that. But, Reverse Mortgages are still a bit of a mystery. The way that I understand it, it works, like it’s name implies, in the opposite way that a mortgage does. Essentially, a bank is giving you a new mortgage on the house. But, rather than giving you the large lump some at the beginning (although that’s an option it seems) to pay off the previous owner (like you would in a purchase), the bank gives you a set amount, based on the terms of the loan, each period and adds that amount onto the amount owed. The loan continues that way until you decide to move out of the house, or sell it, at which point it becomes payable. In some ways, a reverse mortgage (more aptly called a Lifetime Mortgage in the U.K.) makes some sense. We’ll all need a certain amount of income available to us when we retire. If we’ve done it right, we should own our homes in full when we do retire. Which means that we should have a whole bunch of equity in our homes that normally would only become available to us by selling the house, or through a home equity loan. Obviously, if we want to continue to live in the house, selling isn’t an option. And, if we’re looking for additional income, the lump sum payout and resulting monthly payments of a home equity loan aren’t a very good option either. Looked at in that way, a reverse mortgage could be a viable option for many retirees. The biggest downside to it would be that you’d basically be forced to sell the house (or your estate would be) and couldn’t then leave it to your children without also leaving them with a huge mortgage on the place. Is that the biggest deal in the world? I don’t happen to think so. In many cases, your children aren’t going to be living in the same town anyways, and won’t want to move just to take up residence in your house. So, the loss of the house as a physical residence probably won’t be a big deal. The loss of the money that the house represents for your estate could be the bigger deal. But, I’ve always been a fan of the thinking that it was your money you earned in the first place, why not enjoy it personally rather than leave a whole lot behind. I’m curious though, how many of you have had any dealings with reverse mortgages? Have they been good? Bad? Otherwise? What are your opinions of them? What did I miss in my (admittedly sloppy, but I’m only 32, so it’s not that pertinent to me) research? Retirement. Have you thought about that yet? Still think you’re too young to deal with that? Or, just assume that your company 401(k) is enough, so why even worry about anything else? Let me introduce you to the Roth IRA. IRA is an acronym that stands for (I)ndividual (R)etirement (A)ccount. The Roth part is named after the Senator that sponsored the bill that created the Roth IRA. But, what really matters is that it could be really important to your retirement fund building. So, pay attention to the next few paragraphs. Do it for the retired version of yourself! Why is the Roth IRA so important? Unlike the other versions of the IRA (Traditional, SEP, SIMPLE, Self-Directed), the Roth gets some special treatment when taxes come into play. Instead of being a pre-tax contribution, like a 401(k), or a tax deduction contribution, like other IRAs, the Roth is an after tax contribution. That means that you’ll be taxed on the income before you contribute it to the Roth IRA. That sounds terrible, doesn’t it? It’s not. And here’s why. All of the gains on the account are tax free. What that means is that, if you contribute $5,000 today, and gain $45,000 between now and retirement, you don’t pay any taxes on any of it when you start taking withdrawals. That’s pretty significant. If you had your money in any of the other retirement accounts, you’d be taxed on the whole $50,000 as you withdraw it. At your then current tax rate. While we can’t know what our current tax rate will be when we retire, we do know that one will exist. Unless you think that your retirement tax rate will be significantly below your current tax rate, you really should consider adding a Roth IRA to your portfolio of retirement accounts. How should I use a Roth IRA? Why did I just say “adding a Roth IRA to your portfolio of retirement accounts”? There’s a couple of reasons. The biggest one, though is that the Roth has a contribution limit that is a bit low. As of right now, that limit is $5,000 if you’re under the age of 50, and $6,000 if you’re over the age of 50. Unless you really think you’ll be able to build a retirement nest egg that will be sufficient on $5k a year (hint: you won’t be able to), you’ll need to supplement with other retirement accounts. If you’ve got a 401(k) offered at your employer, use it. At the least, contribute enough to get the maximum match from your company. Once you’ve met the match, use the next $5,000 and put it into a Roth IRA. (I’ve got mine at Sharebuilder, but just about every investment house does Roth accounts.) Once you’ve got the full 5k in your Roth, you and your financial planner can decide what the next best idea is. If you’re happy with your 401(k) and the investments offered in it, you can continue to contribute any further monies into the 401(k). 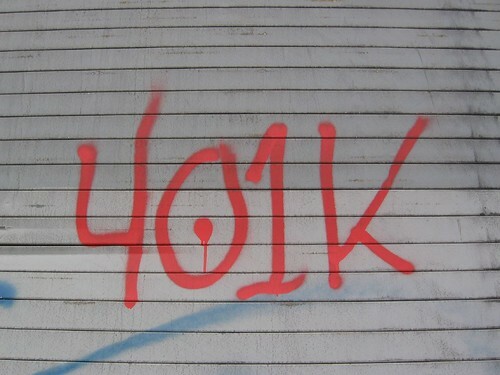 If you don’t like the 401(k), you might consider some other form of retirement account. Maybe a traditional IRA. The traditional doesn’t have the same tax benefit of the Roth. Taxes are still taken out before you contribution, in most cases, and you get a tax deduction based on those contributions. Any withdrawals taken after retirement are also taxed. The contribution limit is the same, however. How do I structure my retirement? I’m writing this post as part of the Roth IRA Movement. It’s a great movement, headed up by Jeff Rose of GoodFinancialCents. He recently discovered that many of our youth are under-educated on what the Roth IRA is. He’s gathered well over 100 personal finance bloggers (including Beating Broke) and we’re all posting a Roth IRA post today to try and help with educating on the Roth IRA. You can read all about the movement as well as see a list of all the posts that are/were written as a part of it at Jeff’s Roth IRA Movement post today. You can also see a list of the posts over at RothIRA.com.